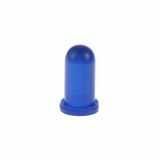 Miniature lamp cap ф3.5mm х 6.3mm blue, yellow, orange, white Miniature lamp cap ф3.5mm х 6.3mm green, red, blue, yellow, orange, white. 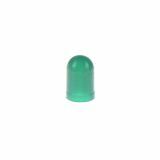 Muff for miniature lamp ф4.8 mm х 10.5mm green Miniature bulb muff ф4.8 mm х 10.5mm green. List Price 0.50лв. VAT Incl. 0.45лв. VAT Incl. 0.42лв. VAT Incl. 0.40лв. VAT Incl. List Price 0.40лв. VAT Incl. 0.38лв. VAT Incl. 0.36лв. VAT Incl. 0.34лв. VAT Incl. 0.32лв. VAT Incl. List Price 0.50лв. VAT Incl. 0.47лв. VAT Incl. 0.45лв. VAT Incl. 0.42лв. VAT Incl. 0.40лв. VAT Incl.